These pancakes were going to be part of my review of VIPS restaurant new gluten-free menu, but then I realized that these beauties deserved their own entry. Don't you agree? It wasn’t that long ago that I became aware that gluten can be hidden in cosmetics and toiletries as well, so it’s nice to find companies like Evolution of Smooth (eos) offering cosmetics not containing gluten in its ingredients. Where exploring the globe meets cuisine and a curious eye for discovering new spots, all while living a gluten-free lifestyle. 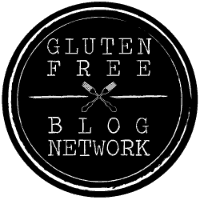 My mission is to show you that it is absolutely possible to travel AND follow a gluten-free diet. I'll help you by sharing my tips, experiences and detailed reviews. Note: Opinions expressed on this webpage represent author's personal view. Unless otherwise stated, all mentioned products and services were paid for myself. All content, photos, material and text are my own unless otherwise stated. Please do not use photographs or material from this site without crediting its origins. GlutenaciousLife.com by Glutenacious Life is licensed under a Creative Commons Attribution-NonCommercial-NoDerivatives 4.0 International License.